• How do I protect my child from bullying? • How do I support my child when there’s a bullying problem? • How do I help my child form positive friendships? 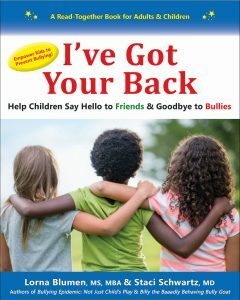 I’ve Got Your Back: Help Children Say Hello to Friends & Goodbye to Bullies gives children the tools to build positive relationships and protect themselves from bullying. Bring learning to life with children’s stories and fun activities. Parents will help kids ages 5-10 build self-esteem, positive relationship skills, and resilience, while strengthening the connection between parent and child. Teachers will also love I’ve Got Your Back. The activities are easily adapted for use in the classroom. Start the school year off right! Looking for a quick action guide for effective bullying prevention? 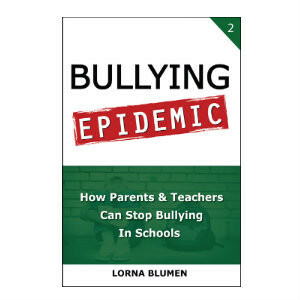 Bullying Epidemic: How Parents & Teachers Can Stop Bullying In Schools gives adults action-oriented tips and strategies. You’ll find 20 Tips For Bully-Free Schools, daily discussion topics to set the tone for a bully-free year. Developed for classroom use, these strategies are equally effective at home. Also included are Bullying ABCs, How To Work With Your Child’s School: A 10-Step Action Plan to Stop Bullying Problems, and 10 Tough Questions Parents Ask About Bullying. Get everyone on the same page and make every day Bullying Prevention Day! Girls’ Respect Groups #2: No More Mean Girls! Girls’ Respect Groups: No More Mean Girls! is your Quick Start Guide to creating and maintaining supportive girls’ friendships. 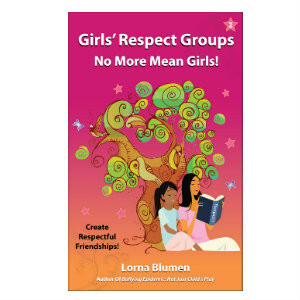 Developed for use in classrooms and after-school programs, Girls’ Respect Groups: No More Mean Girls! 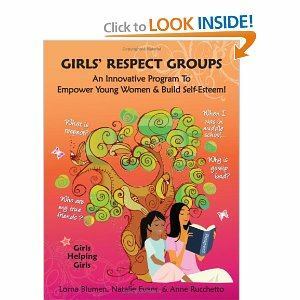 is from the creator of the Girls’ Respect Groups Program, used in over 80 countries worldwide. Adults must guide preteens and teens towards healthy friendships and romantic relationships. You’ll find the Respect ABCs and a collection of Learn-A-Tip-A-Day ideas with colorful infographics to inspire discussion and learning. There’s also a section devoted to challenging issues for preteen and teen girls – What’s the connection between respect and bullying? How do you make the best clothing choices? How do you set the tone for respect during the dating years? Learn how Girls’ Respect Groups benefits boys, too. The gift of respectful relationships lasts a lifetime. Girls from 10-18 – and the adults who love and guide them – will learn how to create relationships based on respect for themselves and others. 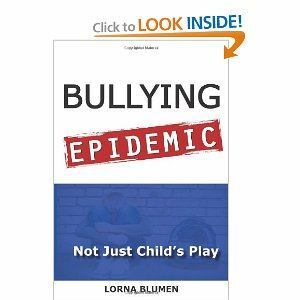 Bullying Epidemic: Not Just Child’s Play is a powerful new book on children’s bullying and the corrosive, enabling role adults inadvertently play. Why is bullying still a growing crisis, after a decade of bullying prevention programs? Bullying Epidemic looks clearly at the self-serving excuses adults make for failing to step in and stop bullying, and the tremendous human cost of looking away while our kids are suffering. All of us are damaged by the roles we play -– bully, target, and, most frequently, bystander. Adults must reclaim our roles as leaders to children, clean up the bullying in adult workplaces, in our personal lives, and on TV, and unwaveringly insist that kids do the same. Kids should know that every day is bullying prevention day – not just when cameras are rolling or the bullying prevention expert is in the school. Bullying Epidemic offers a commonsense action plan for all adults determined to turn the tide of children’s bullying. Bullying Epidemic was named a finalist in the 2012 Next Generation Indie Book Awards. Read Bullying Epidemic: Not Just Child’s Play? Click the button below to write a 2 sentence review on Amazon.com. Thanks! Write a Review! Girls’ Respect Groups: An Innovative Program To Empower Young Women & Build Self-Esteem! Looking for a great volunteer project for preteen and teen girls? Girls’ Respect Groups: An Innovative Program To Empower Young Women & Build Self-Esteem! will guide you step-by-step through the 6-week curriculum for Girls’ Respect Groups, a unique program for middle school girls, led by high school teen girls. Help middle school girls build networks of supportive girldfirends and walk away from frenemies. Working together, both sets of young women explore how respect will affect the rest of their lives & learn to make choices rooted in self-confidence and self-respect. Learn how easy it is to start a GRG High School Leadership Program at your school or in your community. Train inspiring teen girls to become GRG leaders for middle schools. Build a positive community of Girls Helping Girls! 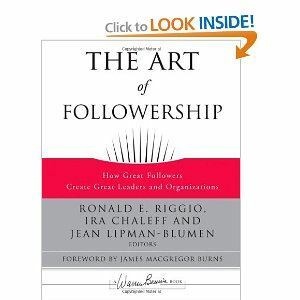 The Art of Followership puts dynamic leader-follower interaction at the forefront of discussion. It examines the multiple roles followers play and their often complex relationship to leaders. With contributions from leading scholars and practitioners from the burgeoning field of leadership/followership studies, this groundbreaking book outlines how followers contribute to effective leadership and to organizations overall. Drawing from various disciplines from philosophy, to psychology and management, to education, the book defines followership and its myriad meanings. The Art of Followership also explores the dark side, the pitfalls and challenges of followership, examining our complicity in toxic leadership, children’s bullying, and blind obedience to authority. 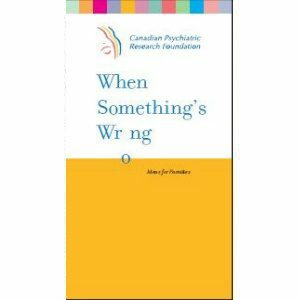 A quick reference guide of useful coping strategies and resources for parents and caregivers to help them with children who have mood behaviour or thinking problems. This handbook includes twelve sections covering Managing Problem behaviour in Children, Anxiety and Anxiety Disorders, Autism and Autism Spectrum Disorders, Borderline Personality Disorder (BPD), Eating Disorders, Impulse Control Disorders, Mood Disorders, Schizophrenia, Suicide, Tourette Syndrome (TS), Working with your Health Practitioner, and Resources.